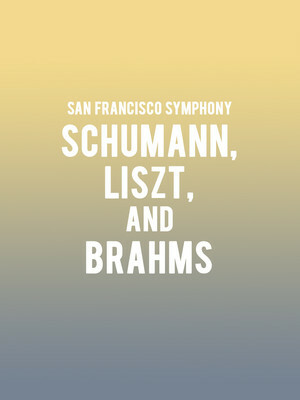 Why See San Francisco Symphony - Schumann, Liszt, and Brahms? Gothic tales, cheery countryside scenes and a work 26 years in the making form the basis of this Romantic trio, conducted by Frances's Francois Xavier Roth and featuring the San Francisco Symphony Debut of fellow countryman Cedric Tiberghein. 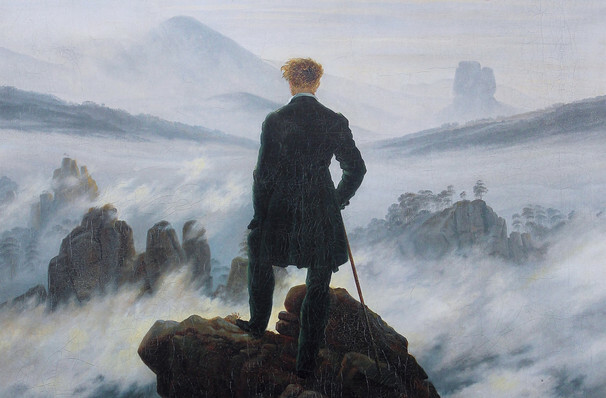 Beginning with a foray into the man, bad, and dangerous to know mind of Lord Byron, as imagined by Schumann's adaptation of his famed poem, Manfred (so popular there's a Minnesotan township named after it), the intensity continues with Liszt's long gestated, blazing Piano Concerto No.1. Finally, the evening will move into more gentle climes as the Symphony tackle Brahms' Symphony No.2. Written in 1877, it challenges the dark and stormy precedent set by his 1st with bubbling warmth and joyful melodies sure to elicit a smile or two. Sound good to you? Share this page on social media and let your friends know about San Francisco Symphony - Schumann, Liszt, and Brahms at Davies Symphony Hall. Please note: The term Davies Symphony Hall and/or San Francisco Symphony - Schumann, Liszt, and Brahms as well as all associated graphics, logos, and/or other trademarks, tradenames or copyrights are the property of the Davies Symphony Hall and/or San Francisco Symphony - Schumann, Liszt, and Brahms and are used herein for factual descriptive purposes only. We are in no way associated with or authorized by the Davies Symphony Hall and/or San Francisco Symphony - Schumann, Liszt, and Brahms and neither that entity nor any of its affiliates have licensed or endorsed us to sell tickets, goods and or services in conjunction with their events.